The pair of Blenheim Lead Crystal Goblets and Richelieu White Wine set is a perfect celebratory gift. 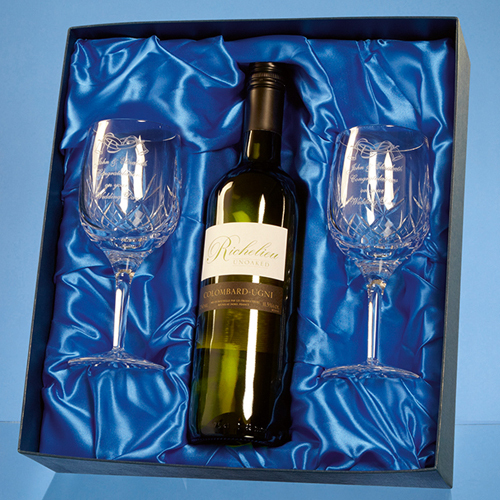 The goblets have a diamond cut detail and a large area that can be engraved with any crest, logo or wording to create a personalised gift that will be treasured. This gift set is presented in a satin lined presentation box.